If you have ever found it difficult to search a file in your computer when you search with some text string, then there are a few free file search software products available, which can make your life easier. This is specially important if you have stopped the indexing function of Windows to improve its performance and speed. Text Finding is one such freeware software, which allows you to search computer files fast and super efficiently. Text Finding is lightning fast, small and super easy to use. It is especially used for finding text string in documents. It doesn’t use background indexing, so when Text Finding is closed your computer’s performance won’t be affected. With this software you would be able to search the files or specific text string you want. This way you will save time. If you think a paticular location has thousands of files, you can use this on that folder only. Then you simply have to start to search and this powerful file search tool will show you the required files or text string immediately. These may be hundreds. The software will tell you in details the file size and where the files are located. Text Finding is a fantastic tool for anyone who works with text files. This powerful text finder in files enables you to instantly find words and phrases across multiple files and folders. It utilises a flexible regular expression engine to enable you to perform quick file search on pc. It is fast and easy to use, and as powerful as you need it to be. Text Finding can give you a hand with fast file searching for your pc. It can search in all commonly used types of documents. You choose which types of files and in which folder (and its subfolders) you want to search on your computer. You can search for file names or specific file types (for example, all MP3 files). You can also use any web browser to search and download computer files from everywhere. We are listing some of the benefits of this software. The interface is user friendly and very easy to use. The search is performed comprehensively and you get to filter what should be scanned. Real time search index and reindex new or updated files. You can find files that are residing on the network too. You can update your software free of cost. Hence all the versions that are released are free for use. You can filter the results after the scan is completed. Text Finding is a wonderful text finder in files and folders which helps you to quickly find required files. It works with all operating systems and windows versions. Go to download and try to find everything you need. How do you searh for a specific word or sentence across thousands of documents on your computer? How to you search for text, not only by file name, but inside the files themselves? This is also useful for when you want to find a file whose contents you know, but you forgot its file name. If you have ever found it difficult to search a file in your computer when you search with some text string, then there are a few file search software available, which can make your life easier. This is specially important if you have stopped the indexing of Windows to improve its performance and speed. Text Finding is one such freeware software, which allows you to search computer files fast and super efficiently. It is lightning fast, small and supere easy to use. It doesn't use background indexing, so when Text Finding is closed your computer's performance won't be affected. Text Finding is very useful for searching files and programs. But it can also be used to search for special word or text inside the files. For example you are a software developer and deal with a large amount of code. Suddenly you need code for a function which is defined in a source file in some other project. You didn't remember the name of source file but aware of the function name. In these kind of situations you can search files on the basis of text inside them. With Text Finding fle search software for text string search, you've got a great choice to search file content in network. It is the simplest and fastest way to perform search based on the text inside files. If you are looking for an easy-to-use, top-rated file search tool to help you, you don't need to go any further. Text Finding is the one you are looking for! How to find all text files in computer? It's quite annoying to search and locate required files from the system manually. Text Finding is a free and quick file search tool that will help you to locate text files almost instantly by keywords you entered. The program can be used, for instance, as a fast text searching tool, file and content search software, fulltext searching software etc. The software runs in all Windows platforms. Text Finding can be used to search through all of the files and folders on your Windows PC. On its lighting quick interface, you will clearly see two major controls: the search box and real-time displaying panel. You should first create a new index of the location you wish to search and then switch to the search box to perform a quick search with that index.When you type any file name, subject or keywords into its search box, the results screen will display kinds of related files on those information in less than a second. You will get a permanent free version after you install and run Text Finding. Then you may pay and upgrade to Professional version with the lowest price to get rid of some limitations in the free version. Would you like to search multiple files for text? If the answer is positive then you need to find large amout of files on your computer to locate special text or words . But how could we do it without the tedious process and wasting too much time? To answer this question we should first introduce you a powerful text search software – Text Finding. Text Finding provides an easy and fast solution to quickly perform fast searching of files on networked computers, and set up a simple http file server to search files on any computers via web browser. Text Finding is a splendid full-text search ultility which enables you to search files on your computer or local network. It will find anything you're looking for, even if you don't know how to spell it, or it is misspelled in the files. Text Finding allows you to search your photo collection, text files, HTML files, Microsoft Office documents and MP3 audio files. You can save a lot of time with this amazing file search tool. Text Finding hits your lost files wherever it hides. Text Finding gives computer users a more advanced file searching alternative than the standard solution that comes with your Windows. So this ultility contains such useful settings, but it's also very simple in use. The main is you add index folders by your own. Then put down the word or phrase you're looking for in search query. And Text Finding makes simultaneous search. You can also set up an http server and allow any networked users can use the web browser to search any computer files over the network. Text Finding works with all Windows platforms. It can be used not only by home users and small business, but also by IT departments of large companies with hundreds of computers as well. Text Finding is a useful file and text search ultility which can help you search any text contained in any pc files and let you use a web browser to search and download files over network by setting up http file server. Searching computer text files doesn't need to be frustrating.The program has a very user-friendly interface and can provide you with quick search. There are some useful options make it possible for you to filter your search. These options include file name, file path, modified date, file size and so on. Text Finding can display unlimited search results containing your search text. It is fast and extremely easy to use. With Text Finding, you no longer need to worry about missing letters or documents located somewhere in your PC and other networked computers. How to Search for Text inside Files? * Download the latest version of Text Finding from the Download page. * Install and run the progrom on your pc. 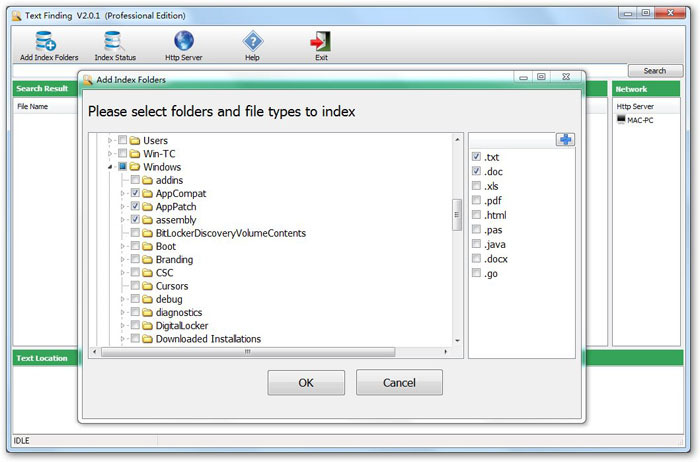 * Add index folders - Select folders and file types you want to index to perform quick file search. 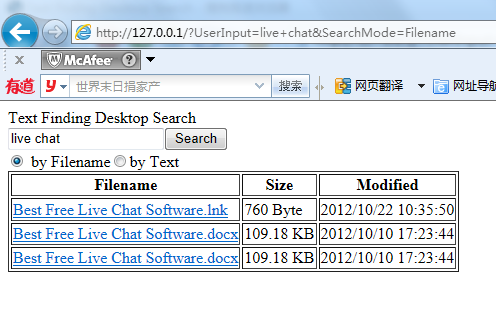 * Input what you want to search in the input box, and search files by file name, file path, modified date and size. * Set up an HTTP Server to let any network users can use their own web browser to search computer files over network. Get started right now to check the working features and functionalities. If satisfied then puchase the powerful Text Finder Software at an affordable price. Do you need a fast and easy way to find text files on your computer? Since many users have multiple PCs and large amount of files, it is difficult tofind the specific file you want. The simplest way to search files on pc is to use special software that can quickly search text in files on your computer. But which file search tool for pc is the best? While there are a lot of pretty good programs, there is one that has amazing options for computer users. The program is Text Finding. Text Finding is a great way to instantly search text files for content on your pc and other networked computers. It is easy and reliable. If you need find required files, you will be glad you have Text Finding searching all the files you need. Start by installing the free version. Text Finding is the best full-featured file search ultility that perform full-text content search in many types of files, including PDF, Word, Excel, HTML, Outlook Express, text and many more. With Text Finding’s full text search service you can easily search for any file containing paticular text string or special keywords in seconds. You may also use a web browser to search and download computer files from everywhere. You have more important things to do than spend time looking for required text files.Install Text Finding and never worry about wasting time to find text in files again. Try to use this powerful software and find text files on your computer. Searching computer to find necessary files is commonly done by every PC users.The simplest way to search text files for content is to use special software that can quickly search the contents of files on your computer. With such software you won't have to do a lot more than input what you want to search, then you can see results come out immediately. But which file content search tool for pc is the best? While there are a lot of pretty good programs, we found the one that has amazing options for computer users. This program is called Text Finding. If you want any way to search and find text in files, please download this full featured file search utility to search any required files on your own computer and LAN PCs in seconds. The free desktop search tool has powerful features to let you easily find out files or folders at once by inputting desired file names or keywords. You can then open the file to view full text or open the folder when the file is located. In addition to find all files for text in local network, you can easily set up http file server to perform file sharing and you use web browser to search and download computer files from everywhere. The Best File Content Search Tool has a free version to let all Windows users to enjoy the free content searching files on pc. Firstly, the handy search utility can find any file on your computer instantly, which can let you know how to find files if you do not remember the exact name. It offers lightning fast results after you input the file name, content or phrases and define your search scope and file types, and giving you an option for viewing the full text and the text location of your specified word, phrase or sentence. So using the program to search phrases in files is a piece of cake. Secondly, you can use this desktop indexing software to find text files you need in seconds because the program looks for data in the active search index without opening real files. You can use TextFinding software search engine to find text in pdf and doc files, and other file of numerous file types, like Excel, Wepages source, Program source, Email(outlook), etc. Third, this easy-to-use search tool has many advantages for file search in the office. You can view and download the files you need from the computers of your colleagues or employees. You can also easily set up http server to perform file sharing. Use a web browser to search and download any computer files from everywhere. Text Finding is also the best free search engine to find files on a server because the free version can let you search several files, and it is permanent free version. If you need search unlimited files, you can pay and upgrade to the Professional version with a flat price. So if your office or company need search multiple files every day, don't hesitate to use Text Finding. Please go ahead to test this powerful text search utility, free download is available. Text Finding is the best free software that allows you to search text inside files and documents with full text indexer. No matter you need find text in multiple pdf files, search for text strings in Excel or Word documents, or even locate specific scripts inside program source codes on multiple computers, this great text search tool can help users quickly and precisely get the results. The content search software will build index for files and folders where you will search, so that the file searching process is very fast. As you know, it is not easy to find text or words inside multiple files on multiple computers. Particularly, many users don't know how to search text inside pdf files. If you use the search function in Windows, you have to wait for a long time to get the search results when you have hundreds of files need to search. So it is not feasible to fulfill the pdf file search tasks without creating indexes for files, even you use the search tool with the latest Windows 7 or Windows 8. Text Finding can create index for files and search text inside files for Windows computers, no matter which are Windows 7, Windows 8 Windows 2003 or Windows XP. The text searching software has a free version that allows you use the software absolutely free to view six results at a time. Certainly, you can upgrade the file search program to the Professional version to have unlimited functions. You choose which types of files and in which folder (and its subfolders) you want to search on your computer. Text Finding is a powerful text search engine for your computer, capable of quickly finding the most relevant results saving you hours of searching. It is compatible with all modern versions of Windows - Windows XP, Windows Vista, Windows 7, Windows 8. Text Finding is extremely useful for searching in large software projects. When thousands of files are available, it is almost difficult to find a function, variable or text throughout them. With Text Finding this happens in a second, which can save you many hours of digging and searching in the programming in your files. Text Finding is available in two versions - Free and Professional. The only difference between the two versions is the number of files you can search at once - in the free version you can search up to 6 files, while in the paid version - unlimited files! The paid version is available at an affordable price and you can activate it immediately by entering your order number in the registration form to obtain the license key with which you can complete the online registration automatically or you can manually input the license key ("Help - Register"). For more information about using Text Finding please visit the Text Finding Manual. Most text search softwares are too complex. Too many features, too many buttons, too much confusion. Text Finding solves this problem by giving you a low cost, easy to deploy solution that can help you easily and instantly search text in multiple files in minutes. If you still do not have Text Finding, get it today! Text Finding is free instant file search software for computer that allows you to quickly search for the files and documents in your PC which has been crowded with many like files and docs and you are unable to locate your file in times of need. This free file search software is designed to match today’s need for the people when they have hundreds of files in their computer.The application helps you to quickly locate your required files. This free file search software for pc is very handy when it comes to locate for daily files and your system gets slower when desktop search is made. The app is programmed in such a way that it will not slow down your system and will help you to locate your file faster and efficiently. Thus you can have your files instantly and your daily work gets speedier and better. Why Is Text Finding Different ? Our caching techniques make it is possible to deliver search results instantly while you are typing. Unlike other softwares, our desktop search engine is optimized for fast indexing and searching. File changes will be updated automatically, you won't need to update the entire search cache manually every week. You do not need to know much about computer. All you need to do is install it and search. Text Finding is the best option for making a search as it would let you find the files with its highly effective intelligent searching technique. From now on, do not waste your time searching for a free instant file search software for computer: you have already found it here! Searching computer to find necessary files is a rather common procedure that every PC user performs repeatedly, perhaps, daily. Most of us use standard built-in Windows solution for this task (Find and/or Windows Explorer). And for most simple searches it works great; however, it frequently fails or is inadequate when performing complex searching tasks. Naturally, there is a desire to have more advanced and powerful file searching application with extended capabilities that would look and work just like built-in solution from Microsoft. Then you will be able operate such a quick and easy software without any additional training or professional knowledge. Well, this software exists and the name says it all - Text Finding. The main idea behind Text Finding is to give computer users a more advanced file searching alternative than the standard solution that comes with your Windows OS. We've designed Text Finding to include all features of the standard solution and have added many unique features that users need to make Text Finding the most advanced file searching application available on the market today. Text Finding supports file search for text located on your hard-drive, floppy-drive, CD, network, etc. You can set filters when searching files (date, size, keywords, or any other file parameter.) You can search through text files to find the ones that contain necessary keywords, sentences or specific text string. After each search, all relevant files will be presented in the list form. You can filter the results by file path, modified date, size, etc. 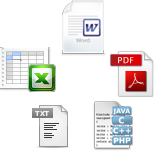 The software lets you search for a text in any file including pdf, word, excel, html, txt, emails, progrom source, etc. It also allows you to use web browser to search and download computer files by setting up http file server. By this way, you can easily and instantly find text in files remotely. Text Finding is a free document search software which allows you to search files and documents and drives in just few seconds. It is a fast document search tool which can search for files fast. You can search the contents of files on your computer. Enter keyword(s) and find your local documents (the files stored in your computer or local network) as fast as possible. You can think of it as Google for your local files. Give a free try right now! The usage of Text Finding is very simple. You can enter a file name, a text string or any pattern with file extension which you want to search and can see the result while typing. You can also get additional information like file size and last when date was changed and many more things. Clicking on the "Indexer" button to start the indexing. The indexing process can take a while, depending on the number of sizes of the files to be indexed. You can generate different search indexes by location and file type. After indexing, you don't need to rebuild a new search index because the software will reindex new or updated files real time. * Finds files and directories quickly because of real time search index. * It is more effective than windows inbuilt search. * It can work best with Windows 7 / Windows 8 / Windows Vista / Windows XP. * You can use web browser to search and download computers files by setting up http file server. * Text Finding is simply to use and is handy and helpful in most of the situations. So check out the features of Text Finding and search your files and documents in seconds! Text Finding is a powerful content search software designed for all Windows platforums including Windows 7 and Windows 8. It makes full-text content search for your computer and network much easier and faster. If you wonder, "How can i search word/excel/pdf content in multiple files on my pc? How can i index my pdf files? ", Text Finding can help you and fully meet your needs. It is the fastest utility to quickly search files by content on your pc and other networked computers. It also allows you to use the web browser to search and download computers files by settins up http file server. What is the best and most reliable software for searching files on network? Start using Text Finding today to search network files for text. Where to download the free program for conducting document content searches? Download here and get started to try Text Finding now. The easy-to-use wizards guide you through the entire file content search process. Find any files, such as PDF, Word, Excel, HTML, TXT, emails (Outlook Express), program source by text string, file type, file name, file size and time. Using Text Finding, you can not only find text inside a file on your computer but also search the contents of text files on home network or office network. You can create search index by location and file type to perform quick file content search. Easily search your pc and the network drives without indexing. A new function for you to use web browser to search and download computer files from everywhere. Which content search software should we use? We often need to search for some particular content inside different text files. But the more files and foleres you have stored on your desktops, the more time and energy you need to spend in finding them and thus less time you can spend on your daily work, which may make you work less efficiently and productively. How to search network files for text? What program should you use? There are many, but the best is whichever one that you'll actually use. Among so many file content search programs, the best free one for your pc we will highly recommend is Text Finding. It is suitable for computer text search, which can help you easily and quickly search file content across your network. You no longer need to waste much time in finding a required file or specific text. You can also share your indexed files, then your friends can download the files you have shared. Do not hesitate to try the powerful content search software to search your files in minutes! Only the C: drive shows up when I attempt to index. How can I get the software to recognize the LAN server at U: ? I have already looked at the tutorial but it does not address this question. Many thanks. Try Text Finding to quickly search files by content on your PC and other networked computers. If you have ever found it difficult to search a file in your computer when you search with some text string, then there are a few free file search utilities available, which can make your life easier. Text Finding is one such freeware software, which allows you to search computer files fast and super efficiently. Text Finding is a software tool allowing you to quickly and easily search text in files on your computer. SeekFast can search in all Microsoft Word documents (doc), PDF, RTF and text files in a folder and its subfolders on your PC and other networked computers. With Text Finding the search is easy, fast and convenient. Select a folder, enter search words and get search results in a second. 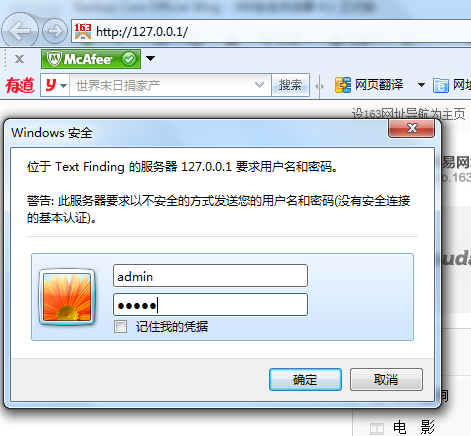 Text Finding is compatible with all modern versions of Windows - Windows XP, Windows Vista and Windows 7. Download Text Finding and get started for free trial! Text Finding is a files search engine that shows you the most relevant results on the top. It uses powerful technology for finding any text files on your desktop and the computers of your colleagues or employees. It is especially a fuzzy search PDF software for you to easily search word in multiple PDF files. The Text Finding technology is unique and has no analogue in the world. After selecting folders and entering search words, you can get the results immediately. For greater convenience, search terms are highlighted in red. You can double click on the search result and open the corresponding file at once. This allows you to get a quick overview of the text in files. In some cases you would need to find the location of a given file or to search for a certain text in all files under a directory. For example, Text Finding is extremely useful for searching in large software projects. When thousands of files are available, it is almost difficult to find a required file or specific text throughout them. With Text Finding this happens in a second, which can save many hours of your digging and searching. Text Finding is available in two versions - Free and Professional. Although there is permanent Free Edition, but Professional Edition has more powerful features than the Free Edition. Click here to compare editions. The Professional version is available at an affordable price and is activated immediately with entering the Order Number. What benefits will you get from Text Finding? In short, no time wasted in searching computer files and data! Try our Text Finding powerful file search engine for your PC free today! You will not be disappointed. computer within a few seconds. Just input your keywords, select the drive and then start to search. key search engine software in your daily activities to meet your increasing search needs. Get started to turn information into results! FREE DOWNLOAD ! What can Text Finding do? ----Program source: VB, VC, PB, C++, JAVA, Delphi, C#, etc. When was the last time you had used a local file search utility? If you are like most Internet users, it was probably less than an hour ago--possibly much less. But what about a local search engine for your own desktop, like some desktop search ($39, 15-day free trial)?With Text Finding,you do not need to pay any fees,it provides permanent free trial.We had receive many feedback which reflected that Text Finding is much more easier and substantial. Unlike traditional desktop search engine,like Windows Explore ,it can just search the whole drive file and it could not search a specified file type.The most important shortage is that,it takes time!Also,it do not have suffient function to meet modern development. Why you need Text Finding? People often meet trouble in searching a desktop file when they can not remember exact words of its file name. It is really frustrated that you do know there is a desired file in your PC but you could not quickly find it out .Text Finding is one of the best solution.Why?It is applied to both office and individual computer. At home :There may generate great amount of files in your own laptop every day.Sometimes you would like to find out a specified file within seconds,however,you can't remember where you placed the file.With Text Finding,everything will be solved.It can help you find out a desired file within few seconds exactly .You just need to tick which type of the file or what is the scanning scope ,such as "TXT" and "Drive D",this software will auto search the designed option,then you can find out the file.There is no other simple way than Text Finding. At office:If you are running a company,there must be various kinds of files in the computer.A new-comer of your company may feel frustrated that he could not find out the specified file quickly.Sometimes you need to print out an emergent file because you had to sign up a contract this afternoon or something like that.You surely do not want to waste any time in finding a file!That will be low-efficiency to do such a little thing !Text Finding,which is user-friendly and it performs satisfied functions. How to search a desired file with Text Finding? 1.Input what you want to search in the input box, and search files by file name, folder name or file text. You can search files on the whole computer by file name or folder name, and search files on text search index by file text. 2.The results searched by file text will appear in “Word” tab. It shows that the file contains the word. In Text Location, it will show where the text is in the file if you click the text in search result list. How to search local network ? 1.Select one or more shared PC, input what you want to search in the input box. 2.The search results will be instantly displayed. 3.You can get the searched file by right clicking in the search result list and select “Get File”. If you search by file text, you can select “View Text” to view the full-text content. The more information we had stored on the PC,the more time we spend on searching a desired file and less time will be spent on productive.Text Finding is an advanced desktop search program which will become the key search engine tool in your daily life.It has been found that Text Finding is the best text finder widget in your computer. How can I find out a file within a few seconds? What is the most simple way to search my PC? Which program is free and most useful for me? How can I search a desired file in an intelligent way? How to search a file in my neighbor network? How to search a full-text content file in an easy way? One of the main benefits of desktop search programs is that search results arrive within few seconds or less; The traditional search engine like Microsoft Windows search companion do not has as much function as Text Finding had. Microsoft Windows searches through Windows files and folders only, not e-mail or contact databases, and unless you enable the Indexing Service (in Win7,Win8 or MAC), and it has reported that the Windows search tool is extremely slow.Don't worry,Text Finding is a champion in file searching,which can help you figure out a file or folder in an amazing fast speed. ----Provide full-text search on your PC and your team's computers. ----View and obtain files you need from the computers of your colleagues or employees. What advantage about Text Finding? Over years,there may accumulated lots of data in your office computers.Once you want to find an important or emergent document,it may brings you inconvenience.As a new staff to a company,you may not very familiar with the operation about that.When a manager as you to find a file in the computer,you may feel frustrated with that because there are millions of files in the disk.Thankfully to Text Finding,you can search a desired file within a few seconds.You do not have to worry about the time,you can search the file in a fast way.Plus,IT colleague can feel free to do other jobs because this useful widget had help them a lot. Using Text Finding in your company, you can immediately search and find files with text on your PC and other networked computers. How to describe Text Finding?That is easy, fast and reliable! Unlike traditional tools ,they always require you to install a new server in the computer,but with Text Finding ,you don't need to install a server. You can only need to run Text Finding and connect it to the local network, then you will see other networked computers. After connection, you are allowed to scan multiple computers simultaneous . You can also preview and download the found files from other computers. From now on, it is so easy and fast for you to find and get the shared files at any time in your company, which will greatly improve your working efficiency. Firstly,you may ask what is non-index search.Non-index search lets you search any files in your PC,while index search is much more faster,but it can only search in index scope.There are many file search software, but they can not satisfied all customers.Some of them perform either indexed search or non-indexed search. Text Finding is much more advanced. It can build real time search index on file content with increased re-indexing of new or updated files. So you can perform quick search to fast find files on PC. Besides indexed search, non-indexed search is also available. You can find any files or documents on your desktop and the network drives easily. How to use non-index search? 1.Click “File – Non-index Search” and open the “Non-index Search” window. 2.Input what you want to search in the input box. 4.Set file types to search. 5.Click “Search” button and start searching. Check for update is available! If a new version of Text Finding has been released, a notice will pop up and ask you to update your current version to the latest one after Text Finding is running. You can easily check whether you have updated Text Finding successfully or whether you are using the newest version by clicking "Help - Check For Updates". If you are using the newest one, a small window will pop up and say "You are using the newest version." Text Finding is an advanced desktop file search tool,which offers multiple functions. 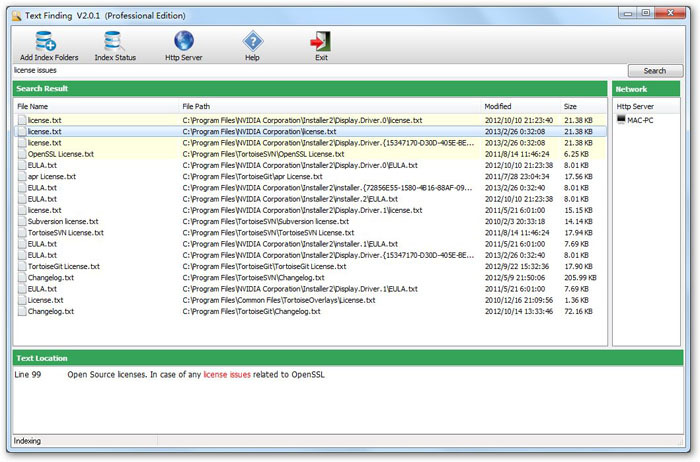 forgetting the name or too many files in your PC,you need a reliable tool to help you. Text Finding is regarded to be the best desktop search tool . How to find a designed file in few seconds? How to view full-text within a file? If I could not remember the file name,how can I find it out? I would like to search a file accurately,how to do that? Is there any freeware help me to find a specified file? What is the easiest way to share files to multiple computers? Are you looking for a freeware that can perform full text search on your computer and network instantly ? Text Finding can be your best free full- text search finder, which can instantly find files with text on your PC and networked computers. It can perform full-text content search in many types of files, including PDF, Word, Excel, HTML, Outlook Express, text, and many more. Download Text Finding and try it ! What benefit can you get from Text Finding? With the advanced search function in this full-text search software, you will get the search results in seconds. Unlike other file search programs, they spend you lots of time to search a file,while Text Finding can search the disk in NTFS and FAT format, as well as finding files and sort them according to file size and modified date. There are many file search widgets in the market, but they can only perform either indexed search or non-indexed search. Text Finding is much more poly-functional . It can build real time search index on file content with increased re-indexing of new or updated files. So you can perform quick search to fast find files on PC. Besides indexed search, non-indexed search is also available. You can find any files or documents on your desktop and the network drives easily. Using Text Finding in your company, you can share any types of files to your group network instantly.Simple, fast and useful! You don't need to install a server. You can just run Text Finding and connect it to the local network, then you will see other networked computers. After connected, you are allowed to search more than one laptops at a time. You can also preview and download the found files from other computers. From now on, it is so easy and fast for you to find and get the shared files at any time in your company, which will greatly improve your working efficiency. How to use Text Finding? How to register Text Finding? Please input your order number in the registration form to obtain the license key with which you can complete the online registration automatically or you can manually input the license key ("Help - Register"). Please copy the hard code of your computer,then send it to us ,we will send you a license key to you as soon as possible.After receiving the license key,just need to paste in to the box,then the registration is completed. *How to search my laptop? 3.In Text Location, it will show where the text is in the file if you click the text in search result list. ----Text Finding offers specific file search engine,such as PDF search engine.Also,it lets you connect to your teams,offices and projects by LAN file search engine. ----Text Finding has a permanent free version,which provides free download and powerful features to you. How to locate and find files containing text quickly by entering a complete or partial name of the required content?How to easily find files contains full content?What is the best way to read full text by a software?Text Finding can help you!For instance,if you want to find a file contains "keyword",but not "keywords "or "finding keywords software",Text Finding can still help you search the files. There are many desktop file searching tools, but they can only provide either indexed search or non-indexed search. Text Finding is much more flexible. It can build real time search index on file content with increased re-indexing of new or updated files. So you can perform quick search to fast find files on PC. Besides indexed search, non-indexed search is also available. You can find any files or documents on your desktop and the network drives easily. Using Text Finding in your office, you can instantly search and find files with text on your PC and other networked computers. Simple, fast and reliable! You don't need to install a server or other complicated steps. You only need to download and run Text Finding and connect it to the local network, then you will see other networked computers. After connection, you are allowed to search multiple PCs at the same time. Meanwhile,you can also share and download the found files from other computers. With Text Finding,sharing become more accessible and much easier. 3. There is a progress bar indicating the progress of the search. 5. A Click Pause button to pause indexing and click Proceed button to resume. 6. Click Stop button to stop indexing. 7. Click Hide button to hide the index interface. 8. When indexing is completed, “Index OK” will appear at the bottom. B.How to find files with contents? 4.View the full-content in the "Views"--"Full -text Content"
What can Text Finding do for you ? If you had spent much time in searching a file,if you are still looking for a reliable tool to find full-text file,if you do want to improve your work efficiency ,Text Finding is really a professional freeware for you!Text Finding can be your best free full- text search finder! FREE DOWNLOAD! Searching text in files on pc is a rather broad topic: how to search for files containing text on network computers? How to search multiple pdf files? Are there any reliable softwares to find text in files? Yes! There are many file search tools available on the market, but some of which are too expensive, and some of which may be too complex to use. One of the best software to search text in files in Text Finding! Text Finding is a text search utility freeware which enables you to quickly search files for text on your local network, DVD, CD-ROM, USB Hard or Flash Drives. No matter you are looking for a pdf file or MS Word document that contains a specific text string, Text Finding can quickly scan your PC , network drives, and networked computers, and then find text within files. It is a convenient file search tool to find any file on your PC and networked computers. It is exactly a free software for file search which makes searching and finding your files easy. You will never waste your time again waiting for the Windows Search to complete the search operation. With Text Finding you will be able to find files with text just in one second. Searching text in files is super easy! You just input what you need to search and get the results instantly. You can try out of the text search software features for yourself in our free demo. Just click to download Text Finding for free trial! Text Finding comes complete with all the features that you will ever need. * Provide lightening fast search engines, especially quick PDF search engine for searching pdf files. Try Text Finding right away, which is the best text search software for you! Why Text Finding Best Software to Search Text in Files? Have you ever spent more than half an hour in frantically searching files for text, only to find that none of the files you have found is that file you are looking for? Do you want to search for required files on your LAN PCs in a fast way? To save your time and money, Text Finding may be the best text search tool that you are looking for. It is the fastest way to search for files containing specific text and best search application for PC that indexes files contents. Text Finding is a fast and effective text search tool, which enpowers you to search any required files on your computer or local network. It is a better replacement of Windows Search application. It is designed for professionals and small businesses who want to find the location of a give file ot to search for a certain text in all files. Its fast desktop search features provides you with a chance to instantly search for any file on your desktop or a network drive– documents, emails,music,Word, Excel, PDF and much more. You can greatly save your time with this excellent text searching application. Can you start to search files now? - Find, preview, & get files from your team members' PCs! The more information we have stored on our computers, the more time we spend on searching and less time we spend on being productive. Text Finding will become the best file search for text in your daily activities to meet your ever increasing search needs. Try Text Finding and start turning information into results! How to search for specific text within multiple files? Are you looking for search words in files software without the headache and too much expense? Try Text Finding, which can be your best free software to quickly search files for text on your own PC and other networked computers. You can also preview and download the found files stored anywhere on your network. Text Finding is a fantastic data searching software for anyone who works with text files. This cool utility enables you to instantly find text and words or phrases across multiple files and folders. It utilizes a powerful regular expression engine to enable you to create simple and quick searches, preview and download the found files, extract text from files and more. It offers a permanent free version, so this way you can download, install and use it before deciding to purchase this free text searching tool. - Scan files in a single folder containing many miscellaneous and unrelated files. - Need to find text across multiple folders and disks within a minute. - Search for files containing text on your computer but you have forgot where they are located. Want to search for text within files? Get started now! Why use Text Finding for finding text in files? *It's simple to set up your file search for text - the pop-up wizards makes scheduling a breeze. * It is an effective way of finding any file with numerous file types: PDF, Word, Excel, Text, Email, Program source, Webpage source, etc. * It is available to search for text files on mobile HDD, USB flash disk and the network drives or shared folders. * You can directly view the content of the file. Even if you haven't installed any office softwares you can still view word or excel files and read pdf files without installing the adobe reader. * It's simple to run and use Texting Finding on all computers of the company over the same local network. So you can search required files , preview, and download the found files from other computers. You can set your folders available for network search or just for private desktop search. It's so convenient for you to fast find and get the shared files at any time in the company. * It's easy to create real time search index on file content with increased reindexing of new or updated files. Therefore, you can find files on PC less than a second. Also, you can find files anytime without indexing and search your pc the shared folders or network drives. * It's affordable to upgrade to Professional edition, and perfect for enterprises and families. Want to know more feature details? Check Features page. Search Your PC with Text Finding - Best Free Software to Search For Text Within Files! Have you ever noticed that the built-in file finder for Windows doesn't seem to find the files you expect it should find? (I.e., try searching for text within executable files on some Windows systems!) If you've ever tried to search for text within executable files using the default search utility of Windows, you probably have felt frustrated because it is quite confusing, and doesn't seem to get you the files you want. With Text Finding working for you, simply point, click and type in the text you are searching for, and it works! Search files the way you expect them to be searched! This software actually does check each and every visible file that you specify with your file mask. It will locate the exact information you need in seconds and give you immediate access to it. It is fast and easy to use, and as powerful as you need it to be! Try out Text Finding for yourself, and see how easy it is to find the files that you want! Download the software and try it now! As you are looking for desktop file search software,Text Finding is your best choice.Why?Text Finding endeavors to offer you powerful features and benefits.Text Finding can be described as "3F". They are Free,Fast,Fabulous . Searching desktop files is commonly used in office and personal house.Most people search files and folders by the traditional search engine in windows (Find and/or Windows Explore).However,this method is quite lag and inconvenience because it is too slow and frequently fails to find files.Therefore,a useful and reliable desktop searching tool is necessary and important. FREE DOWNLOAD ! Also,you can search files by the file type,file name ,size or dates.Plus,you can find files stored anywhere on your PC or other computers. 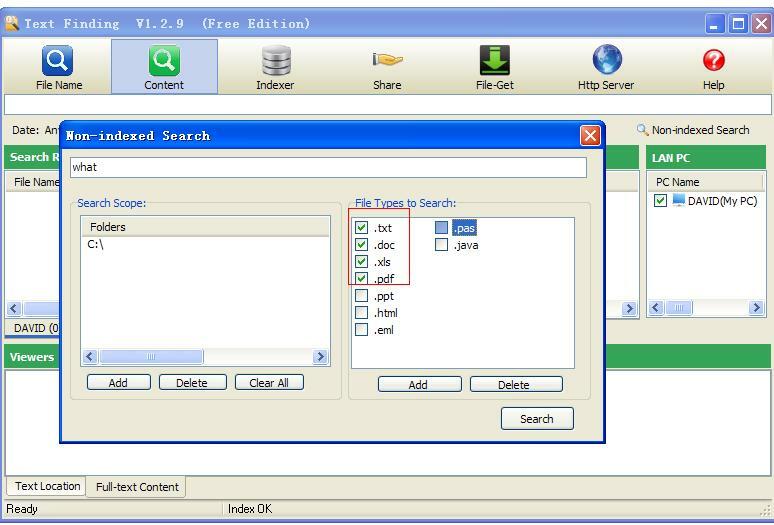 With the quick search feature in this full-text search software,you can get search result in seconds.Different from other file search tools,Text Finding can not only search the disk in NTFS and FAT format.but also instantly find files and sort them according to the file type,size or date.In the past,you may not open a Word or FDF file and view its content with Adobe Reader or Office.However,Text Finding performs more flexibly and conveniently.There is a feature that allows you to view full text of file quickly and conveniently.Besides,you can input the keywords you want to search in the text. There are thousands of file search utilities in the market,but not all of them provide both indexed and non-indexed search.Text Finding can build real time search index on file content with increased reindexting of new or updated files.So,what is the features about indexed and non-indexed search?Indexed search is more faster but it can only search files in index scope while non-index search can let you any files in your PC. There is a highlight feature that is "Share my files".Different from other desktop search software,Text Finding allows you to share your files to other PCs.Therefore,it takes little time to transfer data and protect the files ' security. What can Text Finding do for you? In modern sociey,a great many of information are dumping to your PC everyday,they occupy your disk's space and wate your time,therefore,you do need a software that help you find them out. Text Finding is your best choice of desktop search.Why ?No matter you are at home or office,to find out a file your desired is not that esay sometimes.However,if you use the powerful tool----Text Finding,you can easily figure out some files ,such as mp3,pdf,emails,etc. Your personaly computer may generate thousands of emails,word files,PDF,etc.Moreover,if you wnat to find out an article your wrote several years ago,it is difficult and time waste.With Text Finding,you can easily find any types of files.Take WORD files as example,you just need to input the file name or input "* doc",you can find the relevant files.Also,you can view the file information ,such as file date,file size and file path. Compared with personal computer user,company users are more frustrated when they want to find out desired files.Once you ask your colleague to find some files,he or she may spend lots of time in searching.As an old saying goes,Time is moeny.If you spend too much time in searching files ,which decrease your effiecieny.Now,you need Text FIinding.Text Finding has the ability to scan files in few seconds accurately and fast.Undet this desktop search tool,your employees' passionate and effiency will be improved.In addition,the productivity can be increased as well ,I believe. The more information we need to sort everyday,the more time we spend on searching and less time we spend on being productive. It seems annoying and hopeless.But don't worry,Text Finding will be your best backup.It will become your desktop search tool and save your time to find the right document or files. Get started with Text Finding!Save time,increase productivity,simply your life! Have you ever tried to search a word in file on lan? Do you want to find a desktop search application freeware that allows search for text within documents? Text Finding goes right to work on your computer, searching contents of files, helping you to search for many specific words in text files on your own pc and other networked computers. Text Finding is a file content search freeware which enables you to quickly search content of files. With Text Fidning, you can quickly search for a piece of information through all types of files and folders on your computer, including documents stored in the Adobe Acrobat PDF file format commonly used to distribute documents. Simply type in a keyword or phrase in the Search box, then Text Finding will simultaneously present you with a list of PDF and other files in which the text you entered in the search box was found. The list will show one line of content for each match. You can instantly inspect the entire content by double-clicking on the match in the results. Start trying Text Finding to search your computer for text! Text Finding: Easy-to-Use File File Content Search Tool! - View the full text by double cliicking the results or right clicking and selecting "Full Text Viewer"
- Download the found files stored anywhere on your network. - Enjoy the permanent free version or upgrade to Professional version with low-cost. - Free Download, Free software to find your files on network! How to search contents of files with Text Finding? How to create text search index? How to search my computer for text? How to search LAN PC? How to share my files? What's the best software for finding text in files? Text Finding is!! Do you often need to search for some particular content inside different text files? If you’re working on IT or deal with lots of files on your daily work, this case may come up quite often. Do you urgently need a simple to use utility to find content or text in an easier and faster way? Luckily, there is a quite easy way to quickly find any text in multiple files and documents by using Text Finding! Text Finding is a fantastic tool for anyone who works with text files. This cool utility enables you to instantly find specific contents across multiple files and folders. No matter where your files are - on a local drive, an attached storage device, a network drive, or even a remote HTTP server - Text Finding will find the text you're looking for...and find it fast! In addition to the file searching capabilities,Text Finding provides you with features that support you to perform actions on the searched results- full text viewing, lines locating, results sorting, filtering, saving, shared files getting, etc. Are you searching for an excel hat contains a particular word on your computer? Are you looking for a free content search tool for Word documents? Are you searching for a file within a specific folder on your LAN PC? Do you want a fuzzy search for pdf files? Do you want to find files that are taking lots of space on your system? Do you want to search music, video, pictures or software on your desktop? Do you need to deal with lots of documents in your daily work? Do you need to find PDF documents that are created this week? If your answer is "yes" to at least one of these questions, Text Finding is the best file search software for you. It is "find any file" application, which can help you swiftly find everything you need. Download Text Finding and see yourself what the free file content search tool can do for you! How to search all computers in network for a file? What progrom will help to find a specific string of text inside a file? Try Text Finding, which is a high-performance free text searching software that can search inside all type of files stored on your pc and other networked compouters. You can search anything from a single file to an entire drive for any text you need to find. Text Finding has become a favoured file and content search tool in the world. Whether you're a beginner or an advanced user, at home or at work, Text Finding ensures your finding text in files much more easily and quickly. Start searching for textfiles by downloading a free trial. Finding any file - you are able to find any type of files including PDF, Word, Excel, HTML, TXT, emails (Outlook Express), program source, etc. Quick search - you can find files and documents in less than a second because the program looks for data in the active search index without opening real files. Fuzzy search - the program's search algorithm can look for files that match the given words and some variation around them. For example, if you input "*.pdf" and start searching, you will see all files in pdf format listed in Text Finding software. Or if you search with "*.rm", there will come out all video files immediately. What a marvellous text saerch tool it is! Wide Range of Search - you can instantly find text in files on your PC and your team's computers on network, and you can also get the found files from you need from the computers of your colleagues or employees. Index of Multiple Files - you can easily perform quick search by building different search indexes on file content with incremental reindexing of new or updated files. Non-indexed search - you can also search your pc and the network drives/shared folders with any indexing. PDF Search Engine - by using this powerful pdf search engine, you can quickly search pdf by content without installing any pdf programs. It is useful and importanty to have such a fast and powerful pdf file searcher. Best full-text search engine for pdf! Free and Pro edition available - you are welcomed to enjoy the permanent free edition or upgrade to Professional edition to get rid of some limitations. The Porfessional edition is available at an affordable price, so you don't need to pay too much. How to search textfiles on computer? It is easy to use Text Finding! Type what you want to search in the input box , and search files by file name, folder name or file content. If you search by file content, the results will appear in “Word” tab, which shows that the file containing the word. In "Text Location", it will show where the text is in the file. Click on the “Full-text Content” to view the full-text content. Click “File Name” tab and sort results by file name. Click “Modified” tab and sort results by modified date. Click “Size” tab and sort results by file size. Search Your Computer for Text Files with the Best Free Text Search Tool - Text Finding! Have you ever had to find some text inside a bunch of different text files? If you’re working in IT, this issue can come up quite often. Maybe you are looking for a particular phrase in log files or maybe you are a programmer and need to find some code that is inside many different code files. 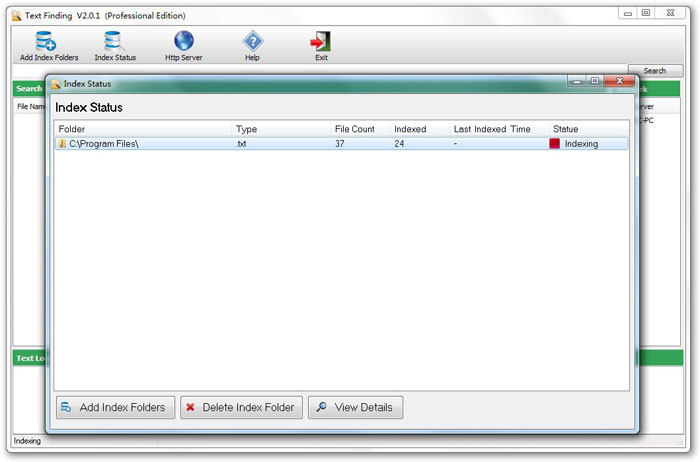 Having a proper searching tool to look for required files and folders allows you to save a lot of time. Luckily, there’s a free program to search through multiple files for a certain piece of text. That's Text Finding! It is a free text search software allowing you to quickly and easily search text in multiple files on your computer. This free text search utility comes really handy for everyone, whether you are a programmer or not. With Text Finding the realtime text search is easy, fast and convenient. Select a folder, enter search words and get search results in a second. It is compatible with all modern versions of Windows - Windows XP, Windows Vista and Windows 7. Don't miss out on the many potential benefits which Text Finding has brought to you. Once you have tried Text Finding you will love it immediately and realize soon that searching computers for text files will become easier and faster! How to best find your network for a file? Please view Online Manual page. Because of our being forgetful in nature, we oftentimes forget the files that we have created. We can only be fortunate if we can still remember the path, folder, or directory where we have stored those missing files. If that's the case, it would never be a big deal then. However, trully this a big problem and even painful if we can't even remember where we have placed the missing files in our computer. With Text Finding, this problem can easily be addressed just by using the find or search tool. This is a perfect tool for the network administrator or user willing to know where necessary files are stored on the network. The program is easy-to-use, but powerful and advanced at the same time. You can preview and download found files, or save the list of files to a report. 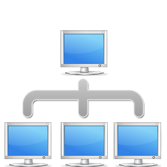 Search network computers for documents, multimedia files, and other information on local network. Search for content (text strings) in documents. Search for files on hidden and admin resources and shares. Preview, open, and download found files. Save your time with fast multithreading network scanning engine. Configure the domain, computer, resource for saving your time even more. Export search results to TXT files. How to best search your network for a file? Please view Online Manual page. Do you know how to find network files free? If you are a normal computer user and that you are facing the "missing files" problem, don't worry, try to use this free downloadable finding software to quickly search network computers for file content. No matter what your operating system, your PC has its own search capabilities. However, Text Finding kicks your file searches up a few notches by giving you more options. Text Finding is an alternative way for you to Index and Search through all your files or folders on Local or Networked Drives. It has the ability to search for similar words and phrases inside documents and files in a way that doesn't require you to remember exactly how something was spelled or written. If you are a business professional that frequently requires immediate access to lots of information, this feature can save a significant amount of time and energy, making you a stronger, more productive, and more effective member of your projects and teams. How to search computer for file content? Text Finding can help! You may be surprised how much data and files you have on your PC. Why not download the free demo version of Text Finding and see just how to search computer for file content? Using Text Finding-text document indexing free software, you can instantly find files on your PC by multiple search criteria. It scans your hard drive quickly to find files by name or contents. Download and try Text Finding for free and see how easily and quickly you can search for text in multiple files on your PC. You might be surprised! I tried the trial version and i don't have any results when i use some numbers. When searching "94A0006", the files found contents only the lettre "A". Is it possible to search files containing some numbers ? Thanks. Sorry, the index search does not support searching files for numbers. You can only search numbers in files with non-indexed search. After you download and install Text Finding, you will get a permanent free edition (freeware). You may upgrade to Professional or Enterprise edition to get rid of some limitations in the free version. Please view http://textfinding.com/EditionComparison.asp to compare editions. PDF documents are probably the most commonly used set of documents in most offices today because of it’s ability to avoid accidental changes or modifications by unauthorized users. However, it’s a lot easier to find something you’re looking for in a Word document than it is for a PDF document because by default Windows search indexes all of the text inside of a Word document, thus making it easy to search all documents quickly. The text inside PDF documents are not indexed by Windows or by other desktop search programs like Google Desktop, so most of the time if you need to find a particular PDF file, you have to manually open each one and perform a search. If you’re simply looking for some text in one PDF, it’s not a problem, but if you need to scan through a bunch of PDF documents in a directory, you can use the best PDF search tool - Text Finding! With the advanced search in Text Finding, you can search for text in all types of files, especially PDF files. TextFinding is a high-performance, full-text search tool for your PC and local network.It is the best free software for text search in multiple PDF files. Download TextFinding now and try all the features at once, no matter you wan to look for PDF documents or any other types of files. Are you looking for a way to search for text in PDF files? Text Finding is the ultimate PDF files search tool. It parses the text of PDF files, providing you a list of PDF files matching your search text including the matches themselves! Using our Text Finding tool, you can quickly and exactly search for text in a range of PDF documents on your PC or LAN computers. It can greatly reduce your searching time and increase your working efficiency. Take action right now to have a permanent free version of Text Finding! Or purchase a license online to upgrade it to Pro Version with more powerful features! View BuyNow page. Want to know how to search for text files using Text Finding? Visit Online Manual page. How to search files on computer for content in files? How to search for files on multiple computers on the network? Text Finding can perfectly do this and much more! It is a splendid free software for content searchinf files on pc, which enables you to search files on your computer or local network by it content and name. It will find anything you're looking for, even if you don't know how to spell it, or it is misspelled in the files. Download Text Finding now ! Text Finding allows you to search your disk collection (hundreds of CD, also Audio CDs and search it in few seconds for file name and file content), text files, HTML files, Microsoft Office documents and MP3 audio files (reading MP3 tags). You can save a lot of time with this excellent file search tool. Text Finding hits your lost file wherever it hides. Read more features on Feaures pages. Text Finding gives computer user a more advanced file searching alternative than the standard solution that comes with your Windows. So this utility contains such useful settings, but it's also very simple in use. At first put down the phrase you're looking for in search query. Doesn't matter if you've made a mistake or miss the letter because of approximate search (You can type a * if you don't know how to spell the word). Then select folders where you can find file. And Text Finding makes simultaneous search. Using quick preview feature bellow you may see the text from the found files keyword highlight. Text Finding can be used not only by home users and small businesses, but by IT departments of large corporations with hundreds of computers as well. Let's search words in files with Text Finding, free! a. Run Text Finding on your pc and the remote server. b. In the remote Text Finding, click " Http Server - Start Server". c. Open any browser, then input the server's ip and username, password. d. Search any files on the remote server. 2. Text Finding is a newly released software, so there is no "Text Finding" in the trusted list of Norton Security. Please do not worry about that. Text finding is an absolutely safe software. How can you search for text files, including PDFs, DOCs, etc, on your desktop or even your local network? How to find a phrase in some text files without opening them? Please download and have a free trial of Text Finding , which is the best software to search text files on your own pc and other networked computers. Text Finding can perform instant file search with content indexing of files and folders you sepecify. This file content search tool is fairly easy to use. It can not only find files containing specific text string, but also find any file by a long phrase or setence, file type, file name, file size and file modified time. So using this application is the best way to find files stored anywhere on your computer or network. You can find text files you need in seconds because the program looks for data in the active search index without opening real files. You can use TextFinding search engine to find text in pdf and doc files, and other file of numerous file types, like Excel, Wepages source, Program source, Email(outlook), etc. Why do you need Text Finding? * Need to find text across multiple folders and disks within a minute. * Search for files containing text on your computer but you have forgot where they are located. Want to search files for text? Get Started Now! Text Finding offers a permanent free version, so this way you can download, install and use it before deciding to purchase this free text searching tool. To see more features of Text Finding , visit the Main Features section. No matter you want to search files in xp, windows 7, or even windows 8, Text Finding will be your best free software to perform multiple text searching in text files. Ever had to search some text inside a bunch of different text files? If you’re in IT, this issue can come up quite often. Maybe you are looking for a particular phrase in log files or maybe you are a programmer and need to find some code that is inside many different code files. Luckily, there’s an easy way to search through multiple files for a certain piece of text. That's done by a free program called Text Finding. It basically is a visual grep program, which makes it really easy to search files for text strings. Perform network text search to search files on all computers on your network (LAN), then view and get files you need from the computers of your colleagues or partners. Are you always tired of searching text files within a mass of files and folders, even though some of them were created or used by you yesterday? But now those needed documents vanish and you urgently want them back for your daily work. So how would you deal with that? It is unlikely that you may manually search them one by one in numerous folders on your Windows 7 or Window XP, or worse still, you even don’t clearly remember their file names but only know they are Word, Excel or PDF documents that you used yesterday or a few days ago. Text Finding can find any file on your computer instantly, which can let you know how to find files if you do not remember the exact name. It offers lightning fast results after you input the file name, content or phrases and define your search scope and file types, and giving you an option for viewing the full text and the text location of your specified word, phrase or sentence. If you want to search text files free, click here to download Text Finding for a trial! How to find a specific text in large number of folders and files? Text Finding will do this and moren! It is a free file search program for finding text in files. It allows you to scan the entire LAN or your desktop computer for folders or files (e.g. documents, media files like mp3 and avi, temporary files, etc). Text Finding can perform instant file search with content indexing of files and folders you sepecify. This text finder freeware is fairly easy to use. It can not only find files containing specific text string, but also find any file by a long phrase or setence, file type, file name, file size and file modified time. So using this application is the best way to find files stored anywhere on your computer or network. What Are the Key Advantages of Text Finding? Find text in files on your PC and your team's computers. View and obtain files you need from the computers of your colleagues or employees. What Text Finding may be used for? - Searching mportant files on your PC or LAN if you have forgot where they are stored. How to search files for text? Do you need to find files that contain a particular piece of text? Perhaps you're looking for "Backup" but you're not interested in those that contain "BackupSolutions"? Text Finding can help you with this and more. Simple enter a part of the file name, the target word, phrase or sentence, and the software will instantly find the required files on your pc and other networked computers. It will immediately display broad match results first. Then you can choose "Click to Exact Match" to get the exact match resulfs, along with the green Tick for each file. Also, you can open the matched file, or open the folder where the file is located or view text directly. In a business organization there are bound to be a number of documents that are stored and finding a particular document might take up valuable productive time. With Text Finding you can reduce the time spent on finding the required file as it offers full-text search and tag options that will make it easier for you to locate the file you are looking for. * Powerful PDF File Searcher - you can easily search for pdf files without installing any pdf programs. It is useful and importanty to have such a fast and powerful pdf file searcher. Best full-text search engine for pdf! * Wide Range of Search - you can instantly find text in files on your PC and your team's computers on network, and you can also get the found files from you need from the computers of your colleagues or employees. * Quick search - you can search files for text in less than a second because the program looks for data in the active search index without opening real files. * Fuzzy search - the program's search algorithm can look for files that match the given words and some variation around them. * Index of Multiple Files - you can build different search indexes on file content to perform quick search. * Incremental Reindexing - there is no necessity to rebuild search index from scratch everytime when you update some files. On reindexing, the program replaces changed files and deletes unexisted files from index. * Free to Use - After you download and install Text Finding, you will get a permanent free edition (freeware). You may upgrade to Professional edition to get rid of some limitations in the free version. Please view http://textfinding.com/EditionComparison.asp to compare editions. Search any text within files on your computer or local network with this effective software. Text Finding is a real replacement for the Windows Search utility. If you need to search contents of pdf and other files, Text Finding can be your best choice! You can save a lot of time with this excellent file search tool. What a powerful but east to use full-text search tool it is! Text Finding is a fast files searching freeware for Windows. It supports finding text on your PC or LAN PCs. One of the most important features of Text Finding is that it can help you to search for text within multiple files on Windows PCs that are connected to a local network. So, today I will focus on how to locate files across network using Text Finding. 1. Run Text Finding on your own PC and your network partners'. 2. Select the LAN PC or PCs you want to search in "LAN PC" filed. 3. Input what you want to search in the input box. 4. The searched results will be instantly displayed in a single view. After that, you have two choices to deal with the results. 2. Get Files you want. Text Finding is a text searching freeware to help you search for files stored on remote PCs in a local network. This utility offers you the features similar to what its local file search function provides. 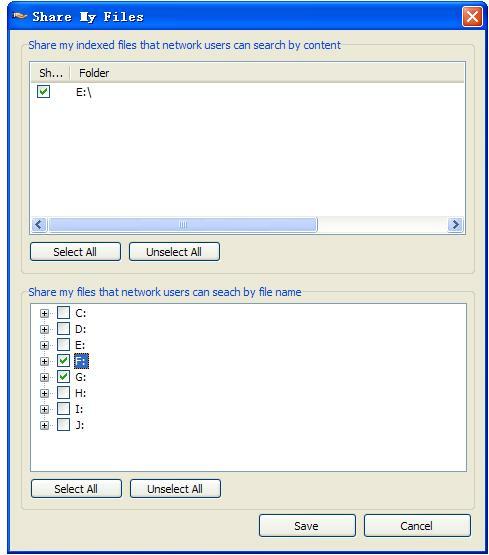 That means you can find all indexed files network computers share by content or search for all files networked PCs share by file name on those shared desktops, just like what you do on your own Windows. Text Finding provides a lightning fast search engine and includes the ability to search for computer files acorss network. It also enables you to search Words, Excels, PDFs, ect on your own PC as fastly as finding on network PCs . Besides, one of the important things is that it offers permanent free version. Even if its Professional version needs to be paid, it is still much more low-priced than other searching programs. Text Finding is best software to search any file on your computer or local network. It is able to quickly search inside any file for text . Text Finding allows you to search files containing specific text strings by Content and by File Name; It puts the searched results in order according to their properties (File Name, File Path, Modified Date, Size,ect.). It supports Windows NT 4.0, Windows 2000, Windows 2003, Windows XP, Windows Vista and Windows 7. One of the most important things is that it offers permanent Free Edition. Please free download this file search software for your Windows. First, Text Finding is a powerful but easy to use file search tool, which can help you search any file on your computer or local network. It is a best free replacement for Windows Search application. It is designed for professionals and small businesses who want to free up their time in order to focus on their work and clients. This reliable and user-oriented content search program provides you with a chance to instantly search for any file on your desktop or a network drive– documents, emails,music,Word, Excel, PDF and much more. You can greatly save your time with this excellent desktop search app. Second, Text Finding can help you manage your files and let you become productive. It can find specific text accross multiple files and search for files inside multiple folders in much faster way, which can help your files stay organized and make you productive in your daily life and work. Stay organized is the key to productivity. Text Finding can meet your increasing searching needs and let you perform well in your business and daily life. Last but not least, Text Finding is designed with some flexibility to meet your specific needs. If you are interested in this user-friendly file search freeware, please free download it on our Download Page. If you want more information about it, please go to our Home Page. Text Finding is a network files search tool, that supports you to find files across local network and quickly locate documents (PDF, Words, Excel) ,music, videos and other file types across a home or office local network. Text Finding is available in two editions: Free edition and Professional edition. If you want to learn more about the difference of these two editions, please enter Edition Comparison Page. * Provide a lightening fast search engine, especially quick PDF search engine. Choose Text Finding, which is a perfect option for you. Please download it on our Download Page. If you want more information, please enter our Home Page. Most people have numerous documents, spreadsheets, photos, music and video stored on their computer, some of which may be only for temperary use. If you are one of them, sooner or later, however, you may have trouble locating a PDF file inside the piled-ups when you need it . Have you ever spent more than half an hour in frantically searching PDF files for text, only to find that none of the files you have found is that PDF document you are looking for? Do you want to search for PDFs on your LAN PCs in a fast way? To save your time and energy and make sure the searched results are really PDF format, you need to use a powerful PDF search tool. Text Finding may be the one that you are looking for. It is the fastest way to search for PDF files and best search application for PC that indexes PDF files contents. There are multiple files on your computer or network PC, so it's normal for some PDF files to become lost every once in a while. Those PDF files may be moved from D drive to F drive , or locate in folders containing many different files, which makes it hard to find out the PDF file you need. However, using Text Finding PDF search program, even if you don't remember PDF file name, it is likely to find it out across multiple files and folders. The following features list may help you get much more familiar with Text Finding. All in all, Text Finding is best free file search software to find text inside a file on your single computer or LAN PCs. It can quickly find PDF, Word, Excel, PPT, HTML, Outlook Express, sharings, and many more on Windows computer. It is both desktop search tool and network file search utility. Especially, it is a powerful PDF search engine. Text Finding is a FREE desktop search engine that enables you to find files and folders instantly by simply typing the name or part of it. It is also a file index tool, which can index multiple files (pdf, doc, xls, etc.) in your entire computer in a matter of seconds and automatically keeps the index up-to-date. * Locate files and folders by key words. Why choose Text Finding FREE Software? Ever had a text file that says something like "licensing" on it, and you have no idea where it is? You eagerly want to find it immediately, but how can you do that in an easy and fast way? Text Finding can help you with its powful features. You can't seem to find the right email or file when you need it? Stop searching and find it with Texting Finding. Simply install this search tool on your computer or laptop to search your computer's content (Word, Excel, emails, PDF, text, Zip files and many more). Texting Finding instantly finds the information stored on your computer and displays search results by category. It is fastest way to search the content of files! The more information we have stored on our computers, the more time we spend on searching and less time we spend on being productive. Text Finding will become the best specific text finder in your daily activities to meet your ever increasing search needs. Try Texting Finding and start turning information into results! Text Finding is a truely FREE software program that locates special text inside files stored on your computer and network. No matter you are looking for a pdf file or MS Word document that contains a specific text string, Text Finding can quickly scan your PC , network drives, and networked computers, and then find text within files. It is a convenient file search tool to find any file on your PC and networked computers. Text Finding is for free download with a permanent free edition. Do not hesitate to try the free file search software for finding files containing text. How to find files that contain a particular piece of text? Perhaps you're looking for "live chat" but you're not interested in those that contain "live chat software", "live chat support"? Text Finding can help you with this and much more. Text Finding can search any files that contains special text on your computer or local network with this effective tool. You just need to input the target word, phrase or sentence, and the software will immediately display broad match results first. Then you can choose "Click to Exact Match" to get the exact match resulfs, along with the green Tick for each file. Also, you can open the matched file, or open the folder where the file is located or view text directly. Try Texting Finding, and fast find files with text on your PC and networked computers. It will be your best personal file search tool! Have you ever tried any file search softwares, such as Text Finding, FileSeek, Turbo Search, Copernic Desktop Search and so on? Which one do you like best? We can proudly say that no other file search tools can compare to Text Finding. Below is the comparison between Text Finding and Copernic Desktop Search. As a powerful desktop search tool, Text Finding endeavours to offer you a widest scope and a highest efficiency in file search and management. It is your best choice for free desktop search! Have you ever needed to find a file buried somewhere in your computer?Are you looking for a freeware that can perform full text search on your computer and network instantly ? Text Finding can do that, and more. It is lightning fast, small and super easy to use. Text Finding can be your best free software to perform full text search, which can instantly and quickly find files with text on your PC and networked computers. It can perform full-text content search in many types of files, inlcluding PDF, Word, Excel, HTML, Outlook Express, text, and many more. This power but easy to use full-text content searcher can work with Windows platforms including Windows 7, Windows Vista, and Windows XP. Text Finding is a free full-text search software which allows you to find and search files or folders you need in just few seconds. You can search any file by specific file names or for specific file types, especially you can find files containing specific text (full-text search). With Text Finding, you can do quick full-text search with real time search index. You can not only create search index on file content to perform quick search, but also generate different search indexes by location and file type. Moreover, you can reindex new or updated files real time (No need to rebuild a new search index). Perform full-text search on your PC and your team's computers. Please go to download from http://textfinding.com/Download.asp . We offer permanent Free Edition and paid Professional Edition. But Professional Edition has more powerful features than the Free Edition. You can view http://textfinding.com/EditionComparison.asp to see the differences between these two editions. Try this Free Download, Free software to perform full text search! Find files less than a second. Textfinding is a free local search tool to help you quickly locate files or folders instantly by key words. It is a much faster and easy-to-use alternative to Windows Search. Textfinding offers a search filter to limit search range and narrow down the search results for higher working efficiency with an intuitive interface.You just need to enter key words search over files, folders, music, photos, web pages that are stored locally on your computer. A index will be created in the corresponding folders using relative paths, making search over the data more quickly on any computer. With it, You can find documents in less than a second because the program looks for data in the active search index without opening real files. In the results, you can view files or download the files directly. To get files from your workmate's computer in a fast way. You may find that too troublesome to get files from other's computer by using USB or other mobile hard disk drive. Now, here is an helpful software called Textfinding! When the two or more computers which are in the same network, install and run textfinding together, tick which computer you also want to search. You can find documents in less than a second because the program looks for data in the active search index without opening real files. Both your computer and the specified computers you have ticked will be searched, then all the destination files will be listed tidily. In the results, you can view files or download the files directly; it is a massive saving in time. With Textfinding, a perfect helper to solve your problem in transferring files between you and your workmates. An exactly great tool to search files. Do you want a free software to locate files and folders quickly by entering a complete or partial name of the required content? Textfinding is exactly a great tool which makes searching your files easy. It creates an index in the corresponding folders using relative paths, making data search more efficient. Unlike Windows Search, if offers a filter to restrict the searched items for better efficiency. It provides easy sorting options for viewing files in search result by path, size and modified date. You can search your computer’s hard disk for any kind of files you want like music, movies, documents, etc. It can also be used to search for emails and email attachments. It is fast, easy to use, provides perfect results and uses very little CPU memory. Enough with the overview, please click http://textfinding.com/ to learn more about Textfinding. How good Textfinding is do you know? A software designed for searching files very quickly on the hard drives has been promoted, which is called: Textfinding. You will never waste your time again waiting for the Windows Search to complete the search operation. With Textfinding you will be able to find files just in one second. At the first startup of the software, the index of filesystem entries is created. This process may require a few minutes to complete. When the indexing is done, the software is ready to search files. Textfinding creates copy of the filesystem table in RAM, therefore the search is lightning fast and very important, furthermore, it occupies less of CPU space, you needn't to worry to slow down your computer.You now can enter words to search files, for example: backup, simultaneously, all files which contain "backup" will be listed. Also, you can select the file type, modified date or file size to find files more easily. When you close main window of Textfinding, the program is not terminated, it is minimized to system tray instead. Click on tray icon and the program window will be displayed again. That makes you pretty conenient. What can you do with Textfinding? Did you forget the folder of "datas.doc"file? Just type one of the letters of the file's name, then, everything you need is listed quickly. You can also specify your search folder, one click for searching image files, music files and video files. Other modern search tools prefer to use indexing services, to keep scanning your files continuously in background. It's a good idea, searches will be more than faster. Textfinding has a special advantage on this issue, it offers creat index to search and non-indexiing search. By building search index on file content with incremental reindexing of new or updated files, you can find files instantly. Non-indexed search is also available, it can find any documents on your desktop and network drives easily. You can choose according to your requirement freely. Textfinding is absolutely a free and quick search tool to locate files and folders instantly by key word you entered. Textfinding will make your life simpler. networked computers. It can perform full-text content search in many types of files, inlcluding PDF, Word, Excel, HTML, Outlook Express, text, and many more.It will quickly display related results. You can open an appropriate file or folder by double clicking on its name.Textfinding will make your life simpler. Come on and have a try. A powerful search file software! From time to time, we may need additional options to do more complex searches, more than the Windows Search can provide, such as finding the files in exact size, date time, or using advanced filters in file names, and so on.Textfinding provides many useful options that you will need but the Windows search doesn't provide.When search for words in files, or search by file names, Textfinding supports to specify multiple words, those words can be separated by spaces, and you can use one of the following options to tell Textfinding how to use them, such as any words of the file, any content of the folder, the modified time, even the size of the file. It's worth mentioning that Windows Search will only allow you to search files "large than..." or "less than..." specified size, even you choose "Specify Size" you still can not specify an exact size for searching. Do not worry that any more, Textfinding allows you to find files in specifying the size of which.